The Pass It On Project follows a group of Brooklyn eighth-graders on a road trip to the sites of the Civil Rights Movement, during the summer following President Obama's 2009 inauguration. 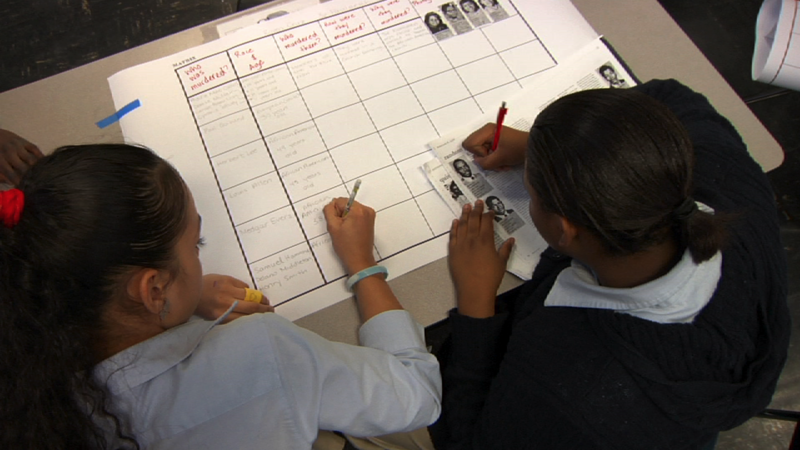 Sensing their students' excitement over the election of the first African-American President, two teachers create The Pass It On Project: An in-depth study of the Civil Rights Movement culminating in a road trip through the south to visit the sites of key events, and learn from some of the Movement's surviving heroes. The program's goals: to broach candidly the history and legacy of racism in America; to critically examine the‘post-racial, dream-fulfilled’ narrative that proliferated the media after the 2008 Presidential Election; to empower students' sense of ownership over their education; and most importantly, to provide a forum for both students (who are Black and Hispanic) and teachers (two White women) to define their place in the ongoing struggle for civil rights and social justice in America. The film documents the group's semester-long preparations and follows the students as they leave the familiar environments of school and home to embark on this transformative journey. It presents an alternative to textbook learning that demonstrates the transformative potential of engaging students in authentic learning experiences; especially with regard to history and social activism. Told through the eyes of the students and teachers, interwoven with first-person accounts from surviving Civil Rights heroes, this coming of age story explores issues of education, race, and social justice through characters that span three generations. They remind us of that if we have the courage to discuss it, our nation's past can inspire us to stand up for a more just future.